Be it the food, shopping, or the gorgeous views, visitors come from all over to experience different things to do in Bandung’s exquisite atmosphere. 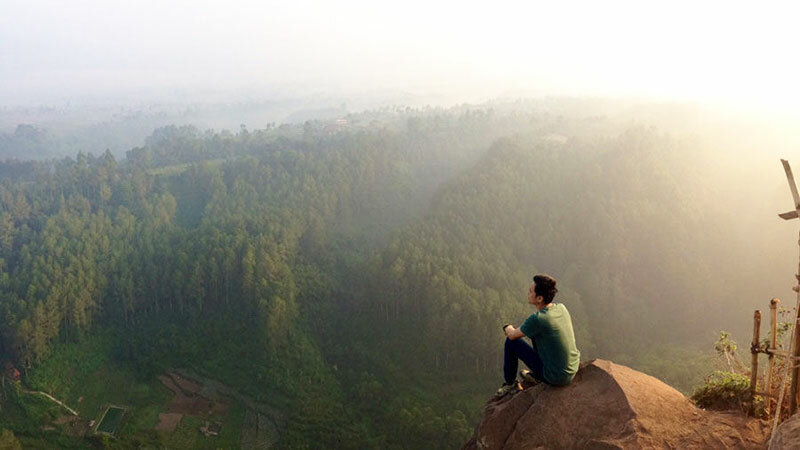 In Bandung, capital city of the West Javanese province, you’re never short on things to do. Nestled between three mountains, Bandung is well known for its cool calming weather, similar to that of places in higher altitudes. That’s also probably a reason why Bandung is commonly referred to ‘Paris van Java’ for its rich heritage in arts and culture. With millions of tourists flocking here every year, just what is really there to see in Bandung? You’ve seen our take on Bali, here’s our edition of what’s in store in Bandung. 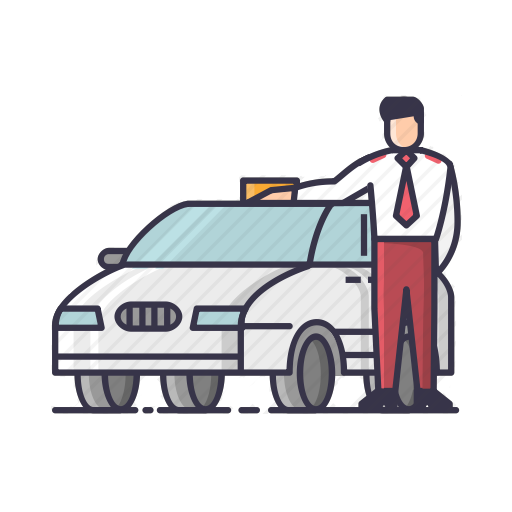 Looking for renting a car with driver in Bandung? Whether you fancy a short stroll for a splash of greenery to your everyday routine, or exploring the 2500 species of fauna, there are just so many things to do in this patch of forest just north of the city centre. Dago Pakar contains two adjacent parks separated by Jl. Maribaya, and both parks offer different but equally interesting sights to see. A mere 30-minute drive from the city center lies Taman Hutan Raya, or ‘TaHuRa’ for short. 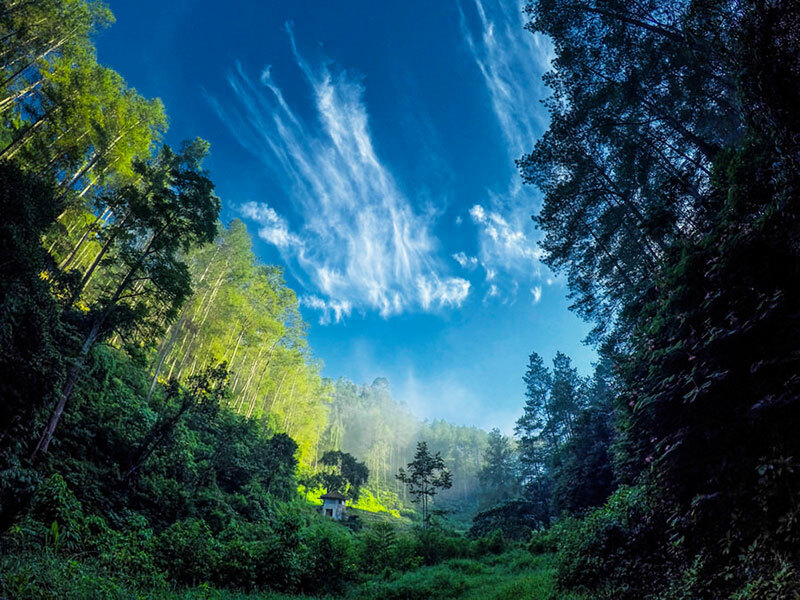 Stretching across 590 hectares of land, the Taman Hutan Raya was built to conserve Bandung’s diversity of plants and flowers. Named after Indonesia’s 10th Prime Minister, a museum showcasing Ir. H. Djuanda’s memorabilia along with artifacts found in the area can be found in Taman Hutan Raya. There is a spot up the park locals refer to as ‘Tebing Keraton’, a cliff with a stunning view of the pine trees below, which is very instagrammable. 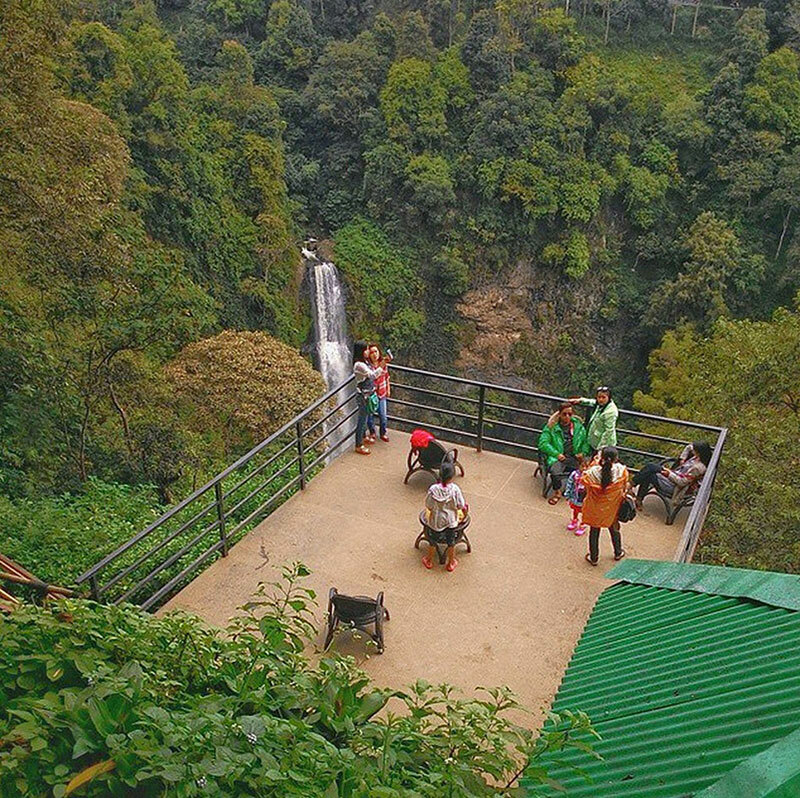 The park also houses two separate waterfalls, Curug Lalay, and Curug Omas. 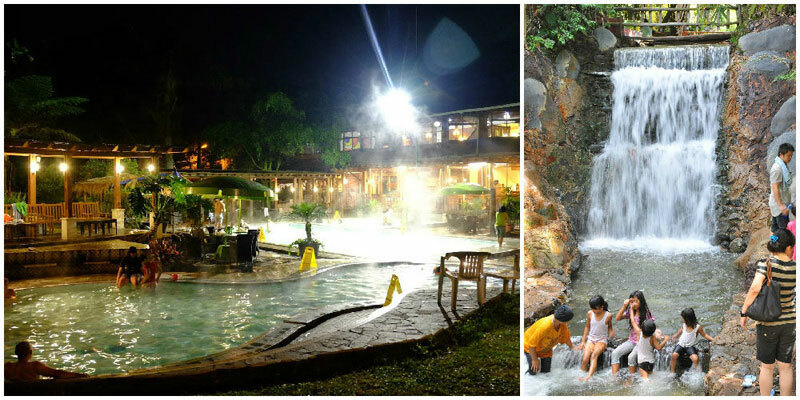 Known as the home of Curug Maribaya, Maribaya Natural Hot Spring Resort is located just north of Taman Hutan Raya. 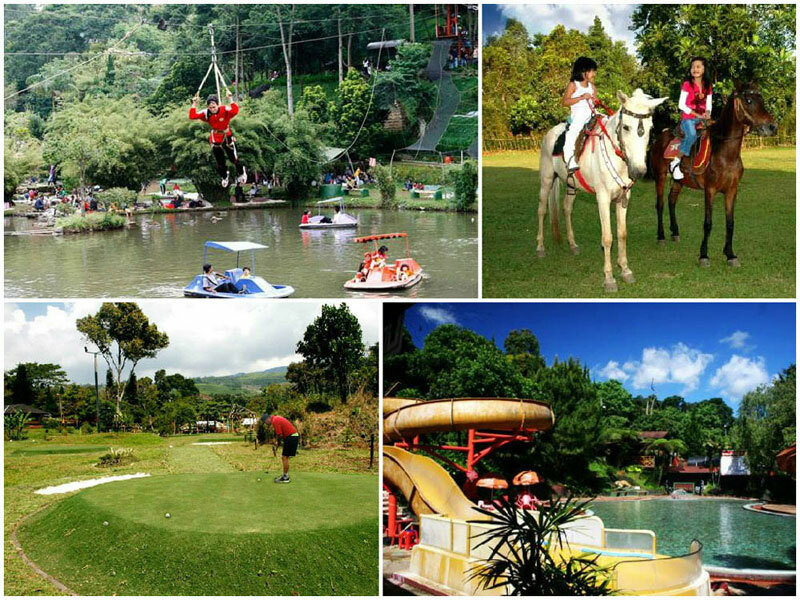 The park is easily accessed through Lembang, but there is also a walkway from Taman Hutan Raya. Getting to the Maribaya waterfall is a joy itself; walking through the forest treks while breathing in the fresh mountain air is a great way to rejuvenate the body and mind. Upon reaching the waterfall, visitors can even feel the water droplets as it cools the skin, and bask in its refreshing scent. To rest your tired legs after a day of trekking, the Maribaya Natural Hot Spring Resort also offers natural hot spring pools, which is believed to cure skin diseases. 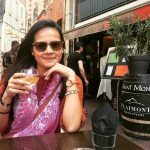 Do you know that other than the white lake (Kawah Putih) at Ciwidey, you can also visit the Deer Conservation Park and Camping Ground at Ranca Upas? Here in Ranca Upas, you can even buy vegetables or carrots to feed the deer (~Rp. 5,000) or simply watch them graze peacefully. There’s also an outdoor adventure park (yes, with a tree house!) and water rides where your kids can have fun while you soak in the hot springs. If you spontaneously feel like spending a night here, camping equipment is also available for rent at the nearby shops. Entrance: Weekdays: Rp. 10,000 (approximately USD $0.67); Weekend: Rp. 15,000 (approximately USD $1). If you would like to stay overnight and camp there, the smallest tent (for maximum 3 people) costs Rp. 150,000 per tent (approximately USD $11.20). If you are driving there, two-wheeled vehicles will be charged Rp. 2,000 (approximately USD $0.13) and four-wheeled vehicles will be charged Rp. 5,000 (approximately USD $0.34) for parking. 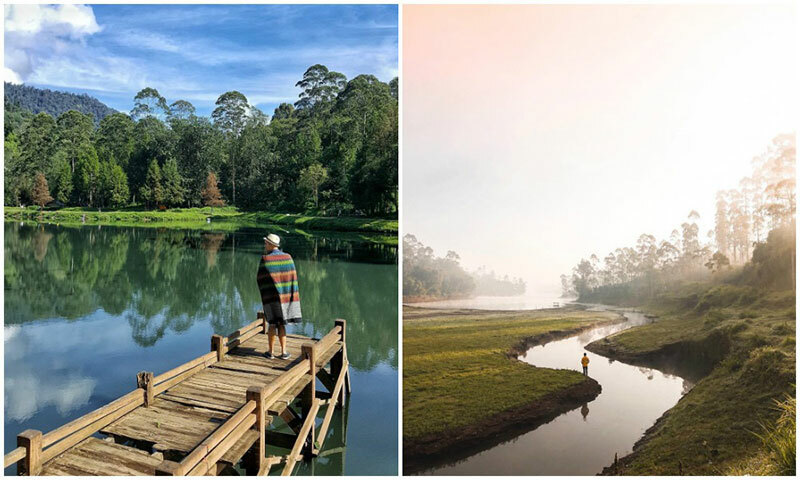 A place where serenity reigns – Taman Dewata is located in the region of Lembang and is a land of fantasy, similar to the Garden of Eden, with its majestic lake. The picturesque setting is amplified by a cool, revitalizing breeze that makes it perfect for a day away from the hustle and bustle of the city centre. Row a boat around the lake to immerse yourself in the natural setting and don’t forget to capture this moment. After all, it is not always that you get to take a stroll in the Garden of the Gods! Taman Dewata is a fitting location for a romantic couple photoshoot or pre-wedding shoot, and it’s a peaceful alternative to Ciwidey White Crater (Kawah Putih) (because you don’t want strangers to photobomb those special moments right). Need a little more magic? 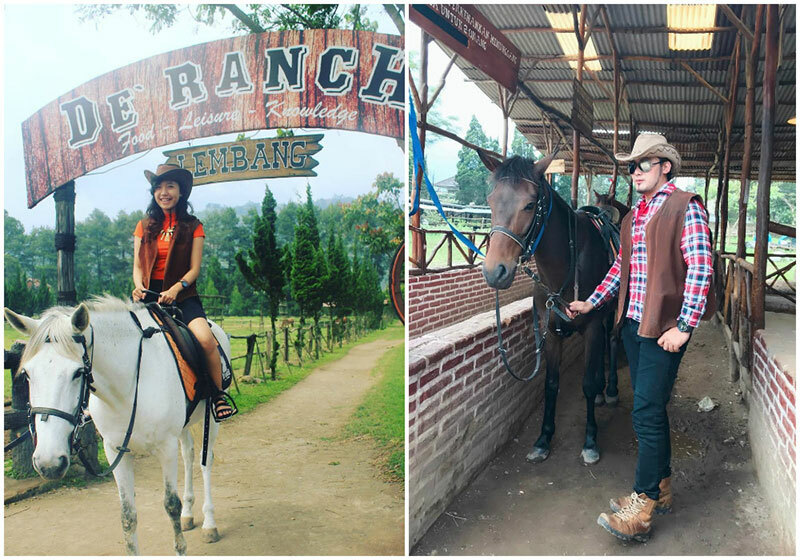 The Pony package riding at Taman Lembah Dewata lets you choose between 3 different routes (short route, Lake Route or Lake and Hill route). Take the longer route so you learn just why Taman Dewata earned bragging rights for its Zen-like scenery. P.S. While ponies are great for children to ride on, we strongly encourage adults not to ride ponies but to choose fully grown horses instead. This is because the heavier weight of adults can overstrain the ponies’ backs. 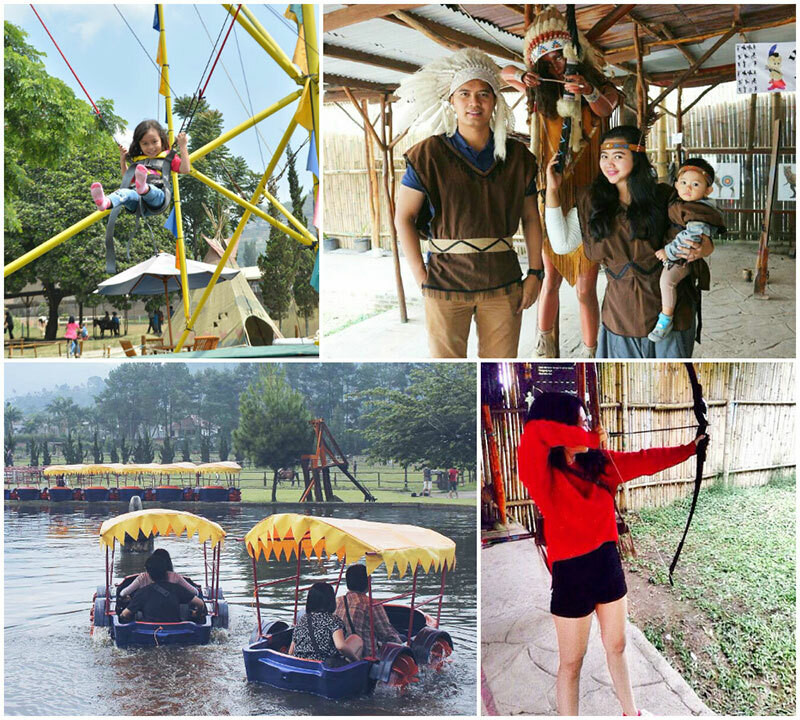 Ready for one of the most magical experiences in Bandung? 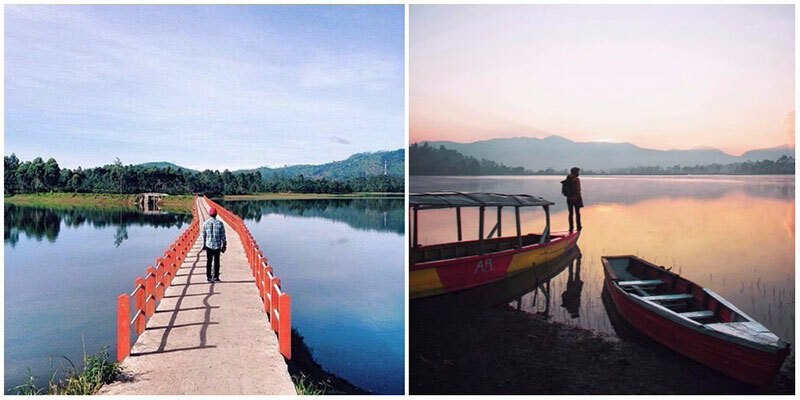 You’ve got to experience Lake Wakadobol, one of Bandung’s best kept secrets! Sshh, allow us to let you in on a few tips. Lake Wakadobol isn’t your typical lake oasis in the middle of a lush jungle; it is a natural rain-fed lake located in a mine area. Surrounded by a magnanimous rocky landscape, Lake Wakadobol is one of the lesser known places primarily because of the restrictions imposed by authorities and the potential danger of this place, as it is an active mining area. In fact, you will also notice a warning sign at the location. So once you’re there, you are recommended to be on your guard as bulldozers come and go with large amounts of sand (which might be of possible danger). Nevertheless, on a sunny day, your lens would capture a radiant mixture of colours which makes Lake Wakadobol the perfect spot to sit, click, click and…. Click. The real mystical moment of the place illuminates on a gloomy day when the rocky landscapes are covered by mist, converting Lake Wakadobol into a scene straight out of a battle scene from Game of Thrones! Entrance Fee: No entrance fee as this is not an official tourist spot. You need to ask for permission from the security guard to enter to view the lake. Had a challenging and tiring week at work? Give your mind a break and escape to Situ Cisanti for a digital detox. 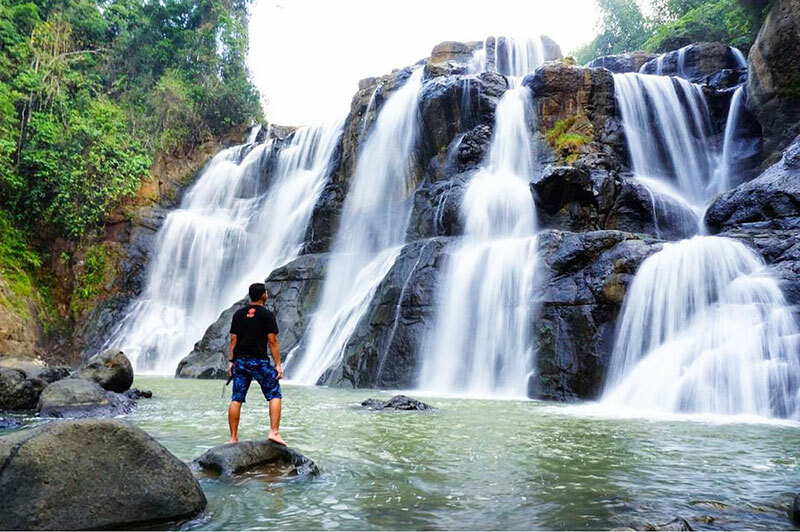 Located two hours away from the city, Situ Cisanti is sure to make you realise and appreciate the wonders of Mother Nature. Take a stroll around Situ Cisanti’s serene water springs and tea plantations as the calming sound of the gushing water coupled with the aroma of tea is sure to set your mind at complete ease. With dim phone signals and clear skies, Situ Cisanti is the perfect place to take a step back from life and simply connect with your inner self. If you are too captivated to leave just yet, be sure to pack a tent in your vehicle as Situ Cisanti permits camping within the premises. Happy stargazing! Getting there: Recommended route is via Ciparay. Drive towards the Ciparay Terminal. From the terminal, turn right into the road Awi-Ciparay, and drive along until you enter the highway. After passing by Cibeureum market, you will be nearing the lake. Coordinates here. 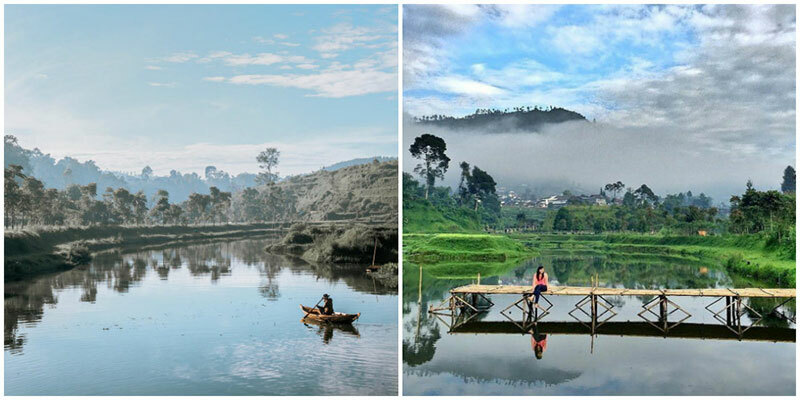 A journey through the rice fields and tea plantations will lead you to this relatively remote spot in Bandung. What makes it tricky to access is the lack of direction, but once you’ve travelled through the narrow roads, you’ll get to enjoy the charm and beauty of this natural crystal clear pond. Although not rich in marine life, the real charm of the spring is underwater. To ease your mind from all the hustle and bustle of the city, locals have set up food stalls as well as other facilities including changing rooms. How much more convenient can it get? We bet you won’t want to leave that spot! Getting there: From Jakarta, exit at the toll booth Cikamuning (Tol Cipularang). Then, follow the Cikampek-Padalarang road until you arrive at Cikalong highway. After crossing the border of Cikalong east, drive for around 3km, and you will find a fork with a gate with a pineapple shape. Drive for another 4km and you will reach Talaga Kahuripan (also known as Geulis Kahuripan). Although the road to the location is not in very good condition, you will be treated to beautiful natural landscapes of plantations and rice fields. Coordinates here. 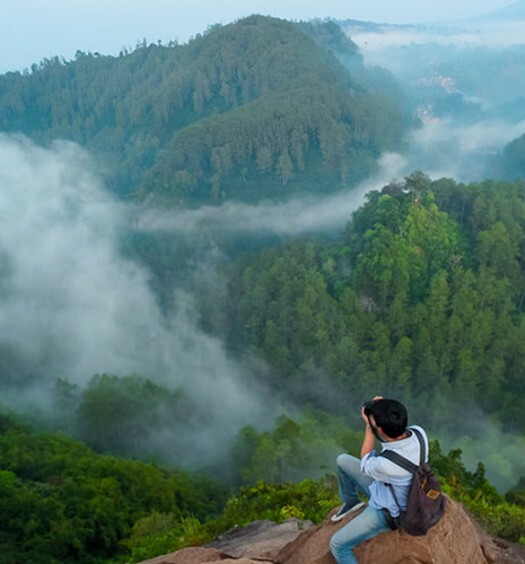 As much as Bandung has exceptional man-made attractions, it is also filled with awe-inspiring natural wonders. 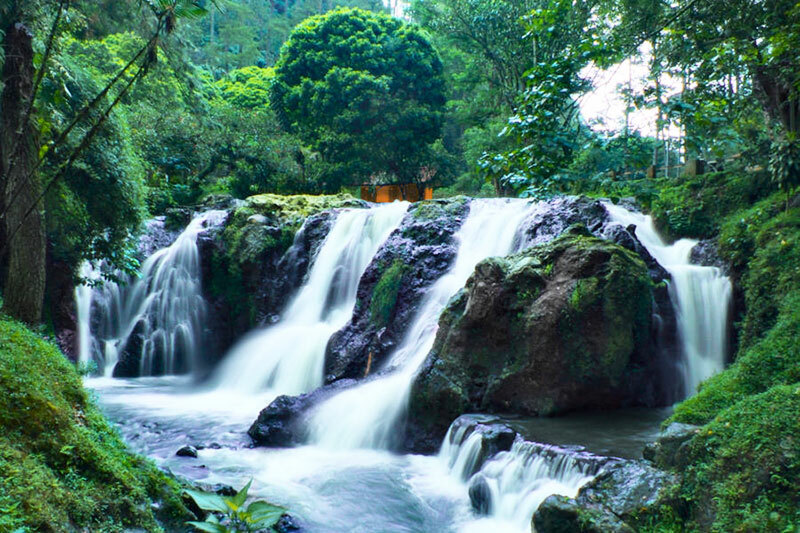 A mere drive away from the hustle and bustle of Bandung city, you will find the most glorious waterfalls. All you will want to do is leave the camera aside for a moment and soak in this unique experience! 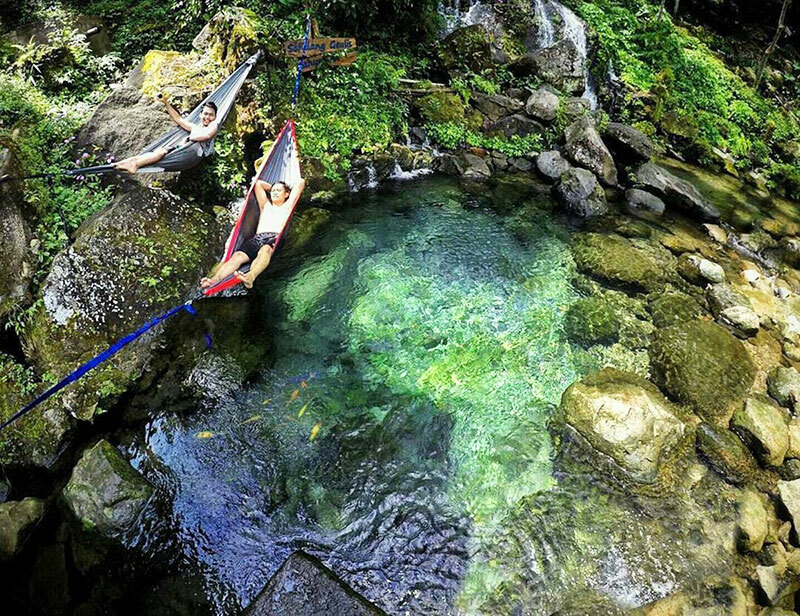 Adventure-junkies rejoice! 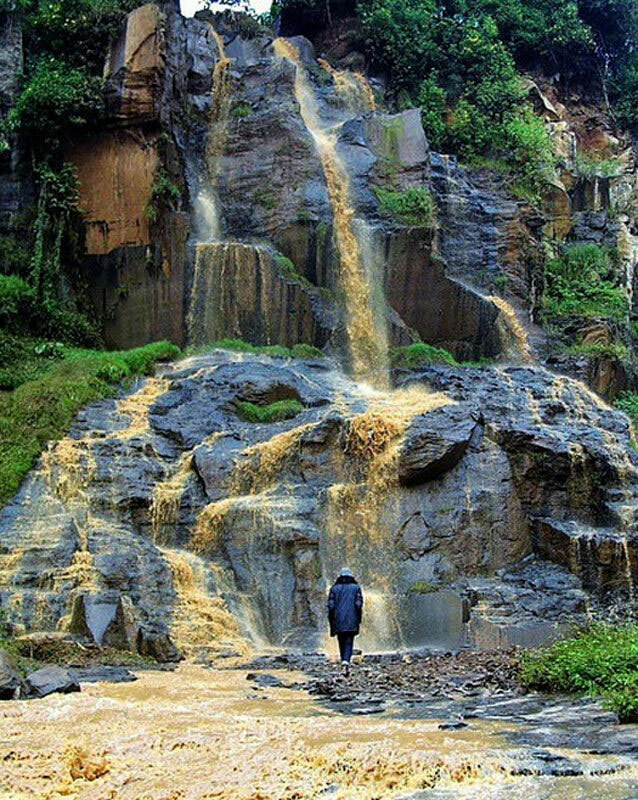 Standing at 70 metres tall and 50 metres wide, Curug Malela can be considered as Bandung’s largest waterfall. Either it’s the distance (it’s about a three-hour drive from the city), or the rough terrain (much needs to be conquered to get there! 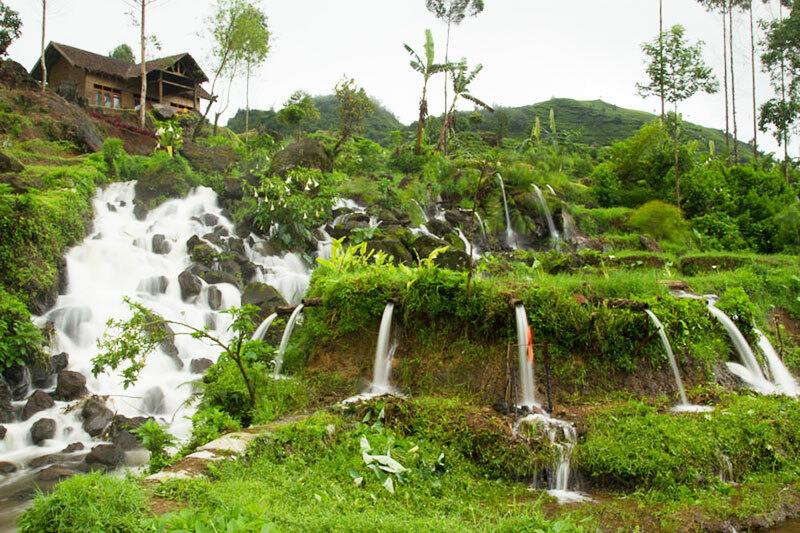 ), Curug Malela is the kind of place that people talk about but have never really gotten the chance to see it for themselves. So if you get there – congrats – achievement unlocked! Although this waterfall is located right off the highway, as soon as you reach it, you’ll feel like you’re like the middle of the woods. This is an astounding location for couples to just have some couple time together – hold hands and enjoy a bit of heart-to-heart talk. At a height of 87 metres, it is one of the highest waterfalls in Bandung and the first to have coloured lights integrated – done so to increase night-time tourism, so you can spend all day admiring its brilliance after sunset. Address: Curug Cimahi Parongpong Kab. Bandung Bar. 40559, Indonesia. Coordinates here. Entrance fees: Rp. 15,000 (USD $1) before 5pm and Rp. 17,000 (USD $1.17) after 5pm for locals. Rp. 25,000 for foreigners (approximately USD $1.71). Here, it’s camping but with more comfort. 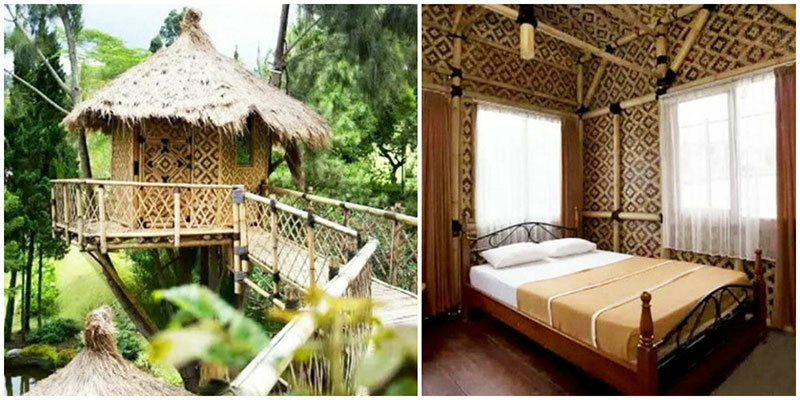 This treehouse in Villa Lembang is not far from town, and yet so close to nature, you can feel the fresh air lift your spirits – perfect for those that want a relaxing holiday away from the hustle and bustle of the city. As the villa estate is over 10,000 square metres, there’s plenty of walking room to put on your explorer boots and enjoy Mother Nature. Lembang is also home to a stunning floating market if you plan on a little sightseeing trip on the side. This place is all about complementing the environment – it’s eco-friendly with strong roots and a steady roof. You can be assured that these houses are strong enough not to be easily shaken. Bamboo Village by Villa is known to be child-friendly, and it also has alternative villas if you’re afraid of heights. As an added bonus, it is also of driving distance to Tangkuban Perahu, a mesmerizing volcano walk. Sometimes, life among animals is just what kids need! Bringing the kids out for some wonderful time digging in the dirt, eating some freshly picked fruits and veggies and learning about farming can be one of the most rewarding educational outings for the entire family. 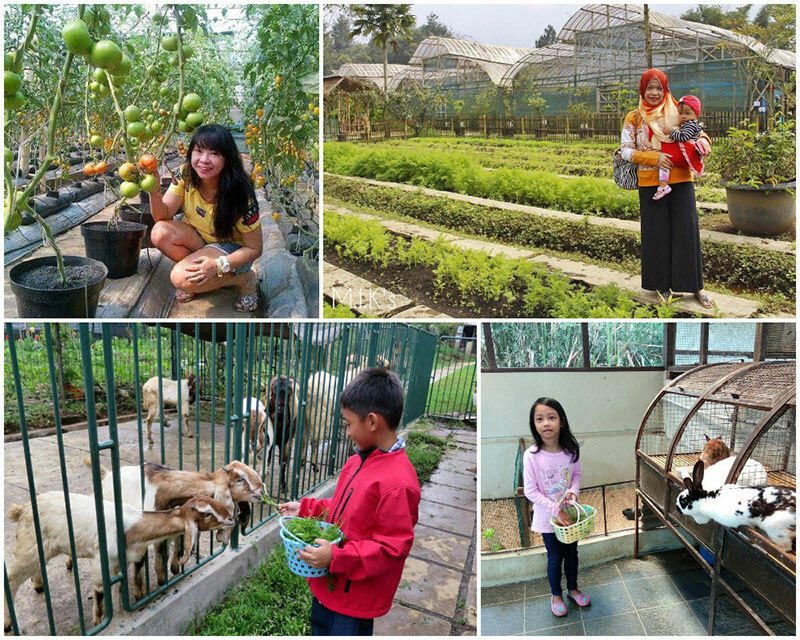 With petting zoos that provide unlimited amount of fun and opportunities to take part in real-life farming happenings, Bandung’s farms are real cornucopias of activities! The perfect way to anticipate your kids’ appreciation of nature and develop various skills through a series of hands-on learning experiences! Once you are done shopping in Paris Van Java’s multiple chains of retail stores, be sure to spare an hour or two at this hidden gem on the rooftop. Perfect for educating young children on caring for animals, the rooftop garden at Paris Van Java has two separate attractions – the Lactasari Mini Farm and the Bird Park. Get ready to be greeted by a flurry of kaleidoscopic-coloured tropical birds! Upon entering the aviary, you’ll be given crickets in a cup for the birds to feed on. The bird park houses some of Indonesia’s rare birds, such as the Parrots of Nusa Tenggara and the Hornbills of Borneo. On the other side of the rooftop lies the Lactasari Mini Farm, a tiny farm where only five species of animals are kept – goat, sheep, cows, rabbits and Siberian Huskies. You’ll be equipped with aprons, vegetables and a bottle of milk for feeding the animals. The farm is well-maintained and clean, so you don’t have to worry about dirt and animal stains – you can totally visit in comfort. 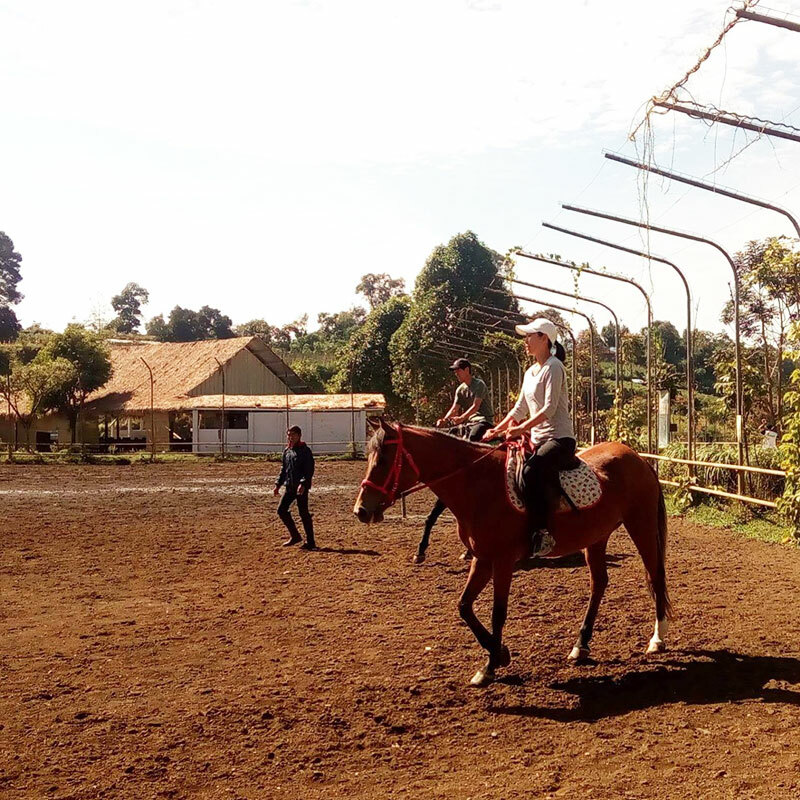 There are several attractions in Bandung that offer farm-related activities, which allow visitors to interact directly with animals or plant and harvest farm crops. But the Jendela Alam (‘Nature’s Window’) farm is one of the first and most complete of them all. Located on Jl. 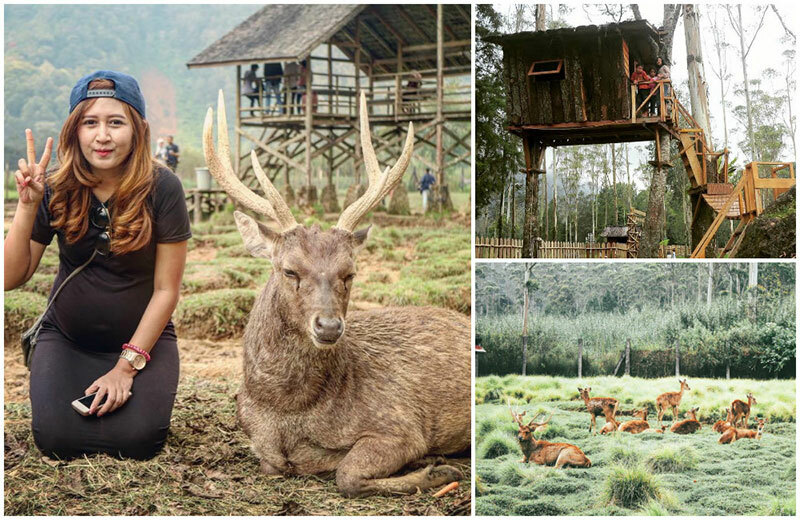 Sersan Baijuri, Lembang, where an actual farm might be, you can roam this hillside farmland with your children and meet the usual and not-so-usual animals, with some from neighbouring countries! Visitors also get a chance to clean, feed, and even milk the animals. Learn about traditional farming methods using shovels and rakes while literally getting your hands dirty, and even modern farming techniques such as hydroponics and aquaponics. Who knows, you may even get inspired to plant your own vegetables back home, and you’ll learn how you can do so! 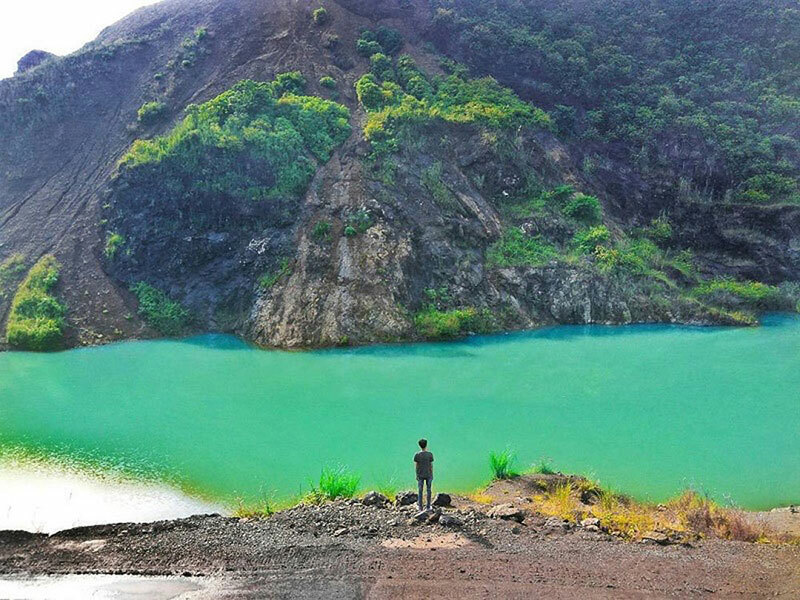 Just 10 minutes away from the well-known ‘Kawah Putih’ lies a lake that you would definitely regret to miss. Legend claims that Prince Putra Prabu of 15th Century West Java and Putri Titisan Dewi met in a heart-shaped island in the middle of Situ Patenggang, after being separated for years due to the difference in their beliefs. The surrounding view is purely breathtaking – tea plantations circle the area, so it looks as though someone had spread a green wool rug across the landscape. There’s even a house right on top of a natural waterfall! Entrance: Weekdays: Rp. 18,000 for locals (Approximately USD $1.23) and Rp. 135,000 (Approximately USD $9.26) for foreigners; Weekends: Rp. 20,500 (Approximately USD $1.41) for locals and Rp. 185,000 (Approximately USD $12.69) for foreigners. Brought to Bandung by the Dutch during the colonial era, berries, most commonly strawberries, are discovered to grow well in Bandung. As a result, the roads leading to Lembang and Ciwidey are abundant with strawberry plantations that guests can come and harvest themselves. 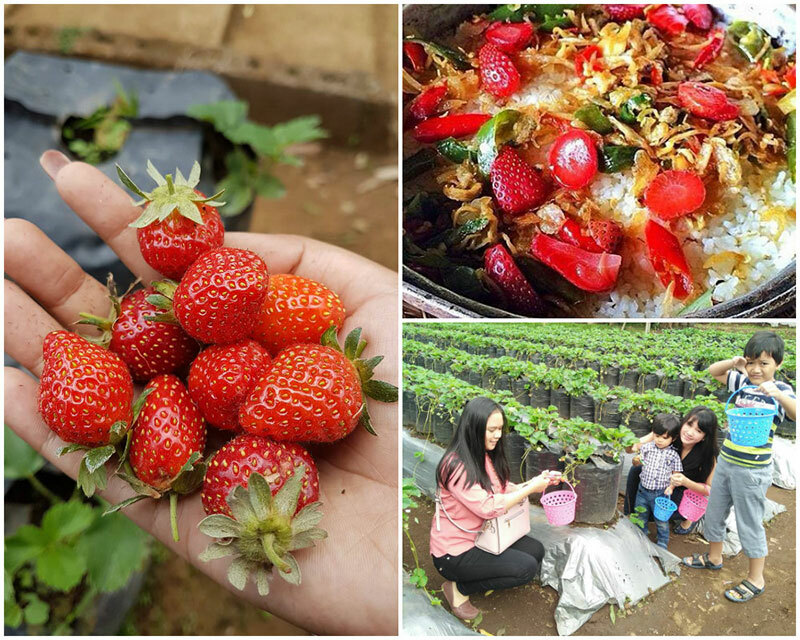 The ‘Natural Resto and Strawberry Land’ offers 1.5 ha of strawberry fields in the Lembang countryside, all grown using organic fertilizers. Besides strawberry picking, the restaurant has also been featured in multiple television shows, shedding light to its strawberry-themed menu. The ‘Gourame Goreng Strawberry’ and ‘Nasi Liwet Strawberry’ are two must-try dishes here! 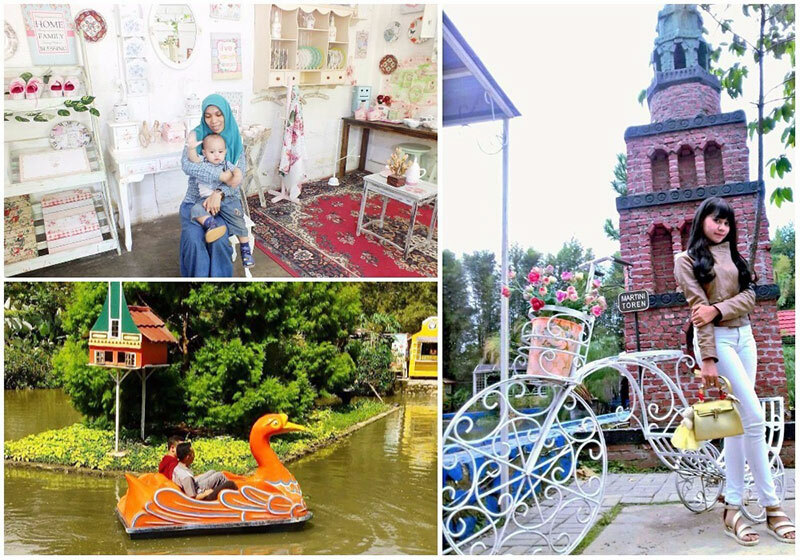 Previously an actual ranch, this family favourite was transformed into a leisure park in 2007, and since then, has become one of Bandung’s must see attractions. Guests are given cowboy costumes and a horse ride (with a professional at bay, of course) to roam the 5 hectares of greenery. 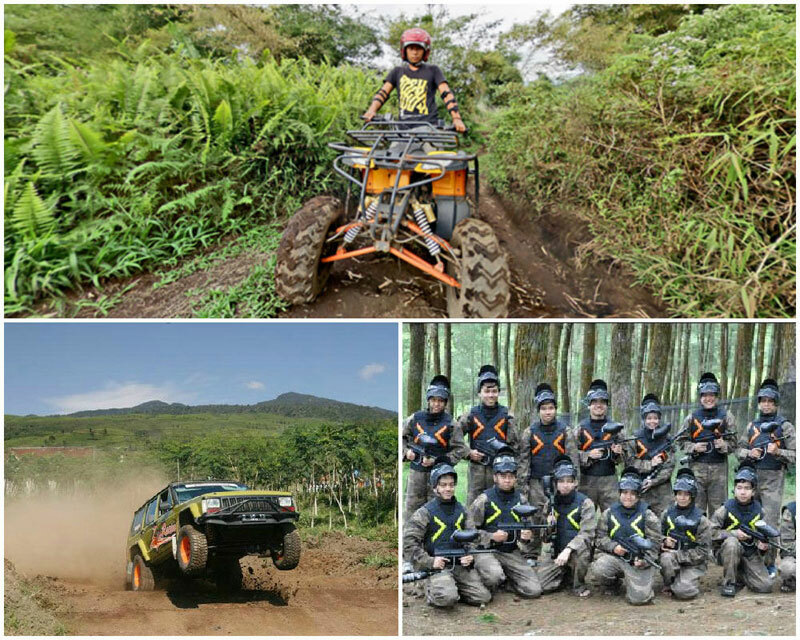 There are 22 activities to choose from, which cost between IDR 20,000 – 200,000 (USD 2 to 15), including archery and gold hunting. Not to mention, guests can also learn how horses and cows are taken care of – from feeding, bathing, to milking the cows. You can even purchase the milk and meat – sold fresh from the actual livestock! 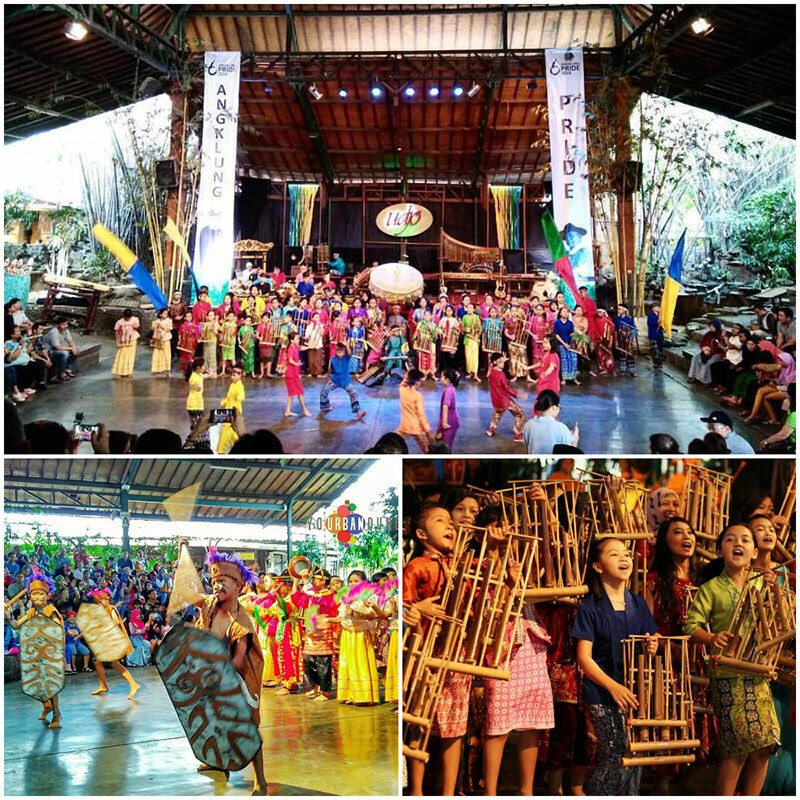 Marketing itself as a ‘one-stop cultural workshop’, Saung Angklung Udjo is the perfect destination for visitors looking for an educational entertainment experience in Bandung. Made from bamboo tubes carved to produce a particular note, the Angklung produces a sound unlike any other musical instrument, and is considered a unique identity of the Sundanese culture. You can attend Angklung-making classes and watch how it goes together with a traditional dance and puppet show performance. Udjo Ngalegana, a traditional craftsman, built the place in 1966 as a means of giving back to the community. All proceeds of Saung Angklung Udjo go to the education of local students, most of whom are local underprivileged children in the area. No matter how much you eat, there’s always room for dessert. We have to agree that dessert doesn’t go to the stomach. Dessert goes to the heart! Located in Jl. Dago, Verde is one of the most popular places to hang out at in Bandung. It’s both a restaurant and a bar, and you can also get your afternoon tea. 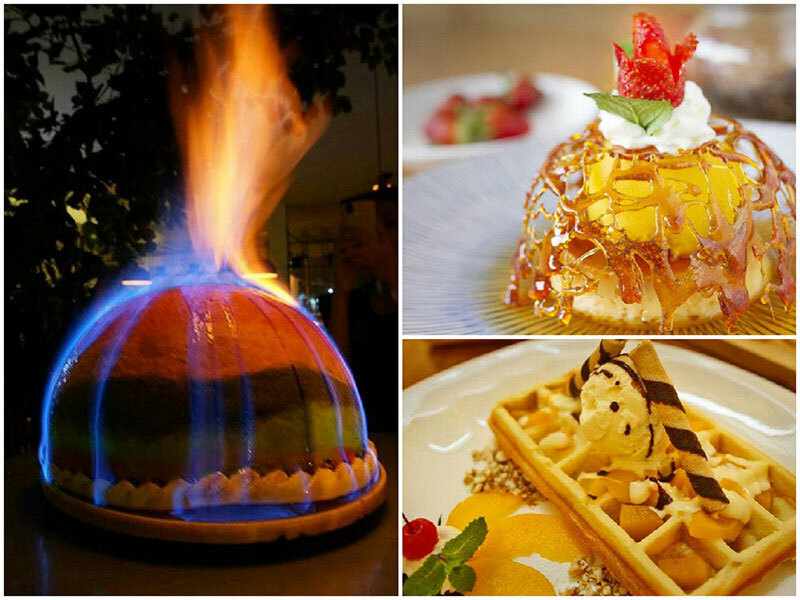 Verde is also well-known for its dessert. 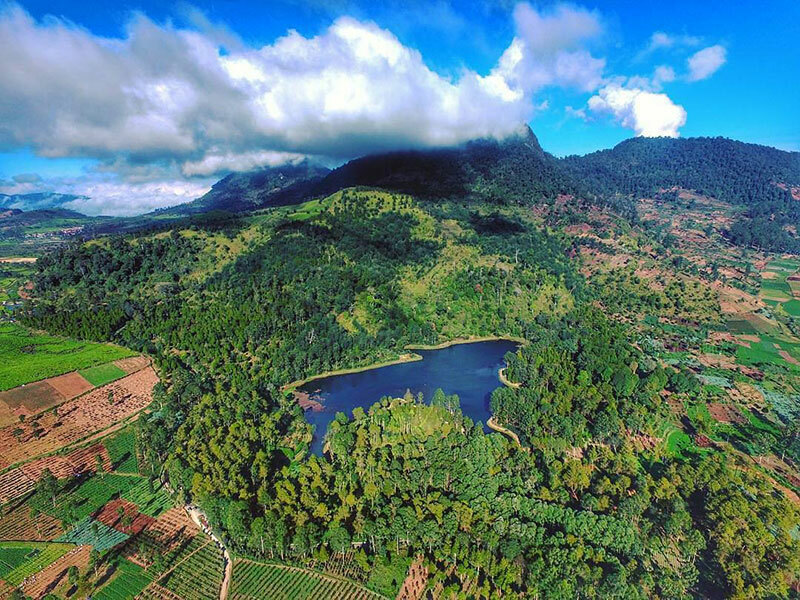 Surrounded by tea plantations, Situ Cileunca (Lake Cileunca) sits 1500m above sea level where the air is cool and fresh. This is where you can take a boat ride around the lake and marvel at the beauty of the landscape. Don’t like to get too close to the water? You can take a stroll along a bridge across the lake, which connects two villages together. Initially constructed to improve trade between the two villages, it has also brought a lot of couples together. Thus, it’s aptly named Jembatan Cinta (Love Bridge). After a long day of exploring the city, you might want to loosen up those sore muscles for another day of sightseeing. Located near volcanoes, natural hot springs have developed over the years and have been used by the locals as a relaxation method. That’s coupled with the beliefs that soaking in the hot springs would beautify physical appearances, and also heal rheumatic, muscular and nervous system problems. 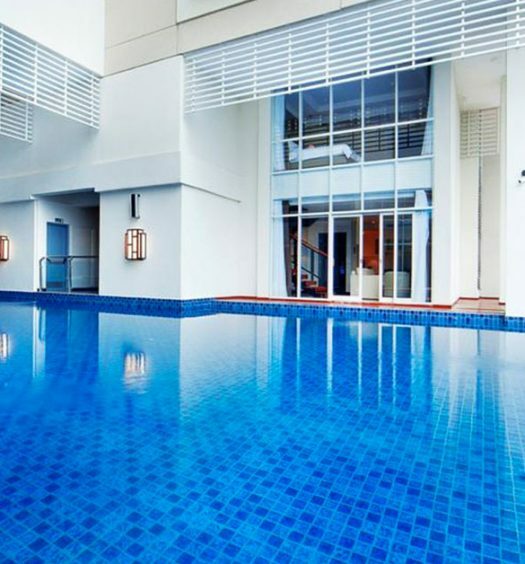 You can choose from five bathing pools, and you aren’t comfortable bathing in public, you can rent the private rooms. Other activities are also available – you can rent the usual pedal boats for an off-road track! Tea plantations have long been one of the most appealing recreation choices when around Bandung. With the fresh breeze and a hint of fragrant tea leaves lingering in the air, the experience of being in the middle of green tea territory is simply a rewarding one.